The smartest way to manage your spend! 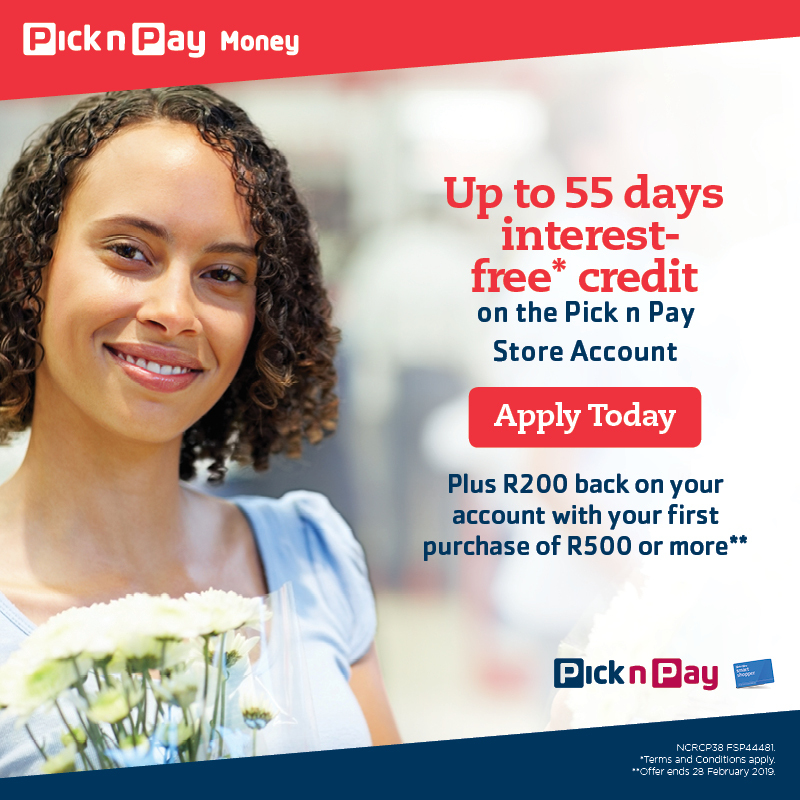 Up to 55 days interest-free credit if you pay the outstanding balance in full and on time each month. R200 back on your account with your first purchase for R500 or more*.